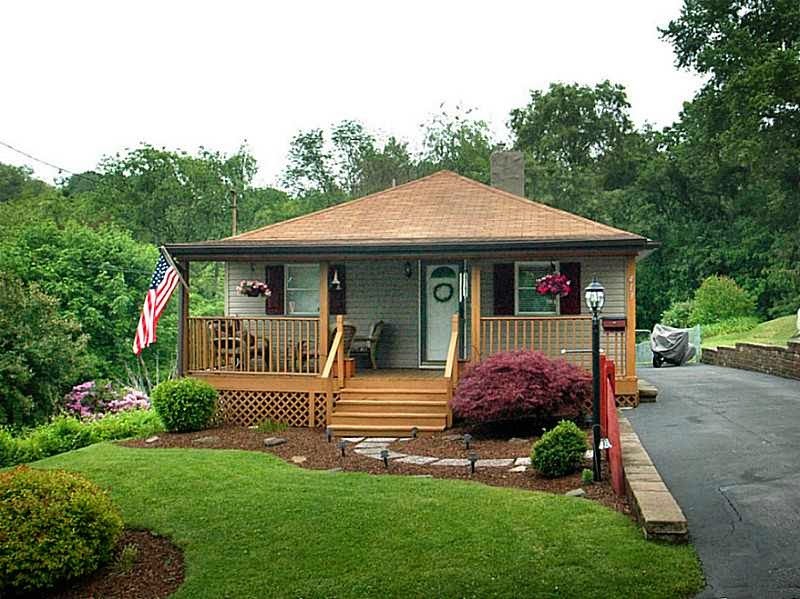 MOVE IN READY & BEAUTIFULLY UPDATED/MAINTAINED Ranch. Private fenced in back yard w/ deck & outside stone patio + shed. 3 Bedrooms & 2 Full Bathrooms. Fully Equipped Kitchen w/ Island & Plenty of Cabinet space. Doubled Paned Vinyl PELLA Windows Throughout. HUGE FINISHED lower level family room w/ gas fireplace & walkout to back yard. Abundant Storage Space & room for a work out area. Covered front porch. Sellers offering 1 year Home Warranty. Don't Miss!